The events are customized to meet the needs of both small and large clubs! Awana events are a great opportunity to expand your outreach to parents, grandparents, and siblings of Awana clubbers. 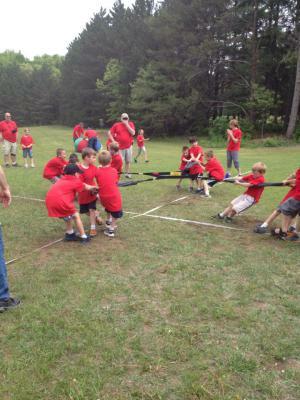 The events also teach kids about teamwork and helps them to see the global ministry of Awana. Our goal is to make the events fun for all clubs no matter what size they are. When matching up teams we do our best to put teams against similar sized clubs. 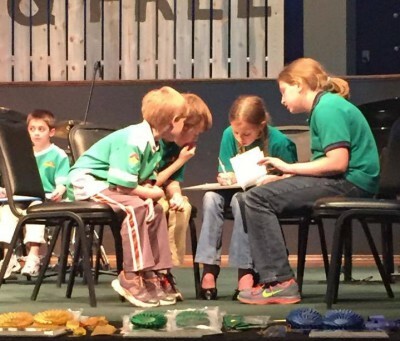 Bible Quizzing can have teams as small as 1 student. For Sparks camp, groups can be 1 Sparkie and Parent or your entire group of 2nd graders! "Awana Games is not only a great team building event for our kids, but it also sharpens the skills of our game leaders so they can strive for excellence on an actual club night." Throughout the year a variety of events are available for students and leaders to participate in. An event where Sparks and T&T students compete in teams against other churches while playing sports games around the Awana circle. 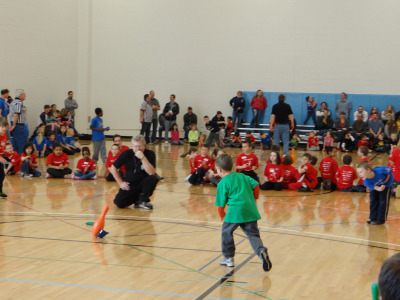 An event where teams of 1-6 compete against other teams to see who knows their Awana verses, definitions, and other bibical information from their handbooks. This fun event is held in Spring and is open to any T&T students. Sparks Camp is a entire day of fun for 2nd grade Sparks who have finished at least one book. The day is packed full of games, hikes, great food, and excitement. Join us each fall for a day of training for Awana volunteers. Throughout the year various special training events are offered. Check out the Event's Subpages for what is currently happening. Ministry team memebers are available as a resource to help you. Use the message box on the Contact page to request any special training or help you may need. We are here to serve you!